Ever wanted to ring the bell? Have you ever wanted to ring the church bell? 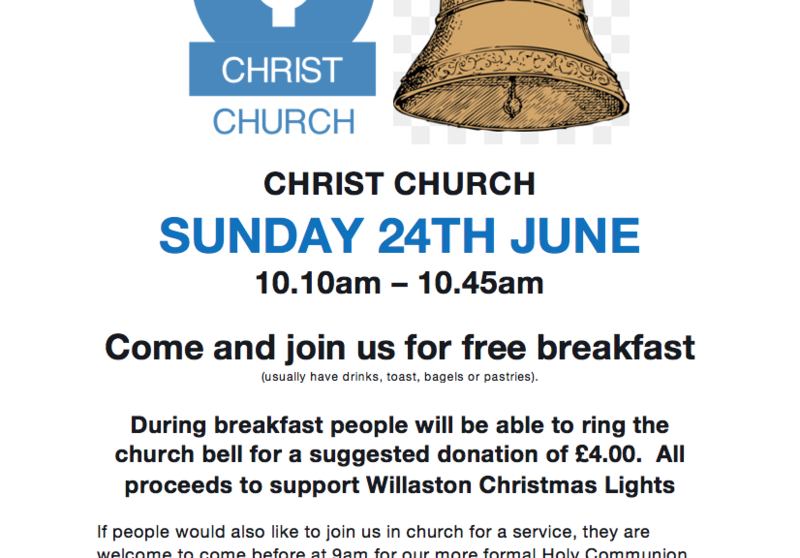 Help raise money for Willaston Christmas Lights and ring the bell this Sunday the 24th June! 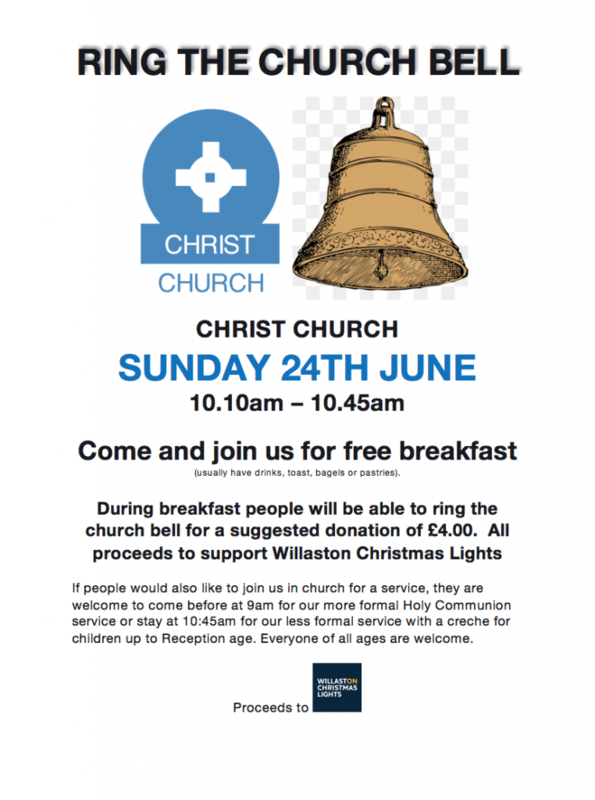 A free breakfast is on offer to all, you could also come for one of our services at 9am or 10:45am.